Note added after writing this post: I didn’t mean for this post to be quite this long. 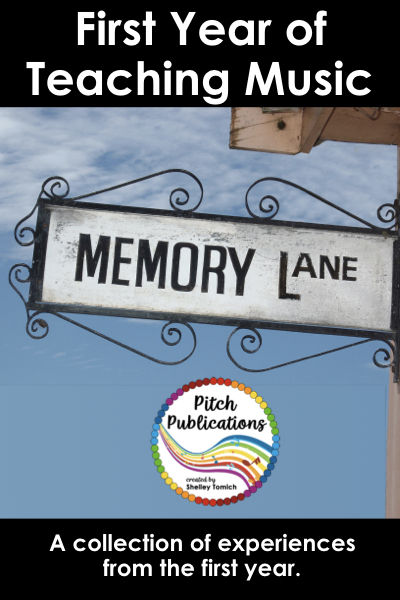 Have you ever stopped and really reflected on how far you have come in your teaching career? I had more to say than I thought and I sat and smiled and laughed as I wrote this. Be sure to link up your own reflections after you read mine! I was itinerant my first year teaching. This means that I traveled to multiple schools. I taught K-3 general music at one school and 4-5 band at another. I had an hour and half for travel/lunch every day (amazing, right?). I taught in lovely suburb just outside of Atlanta. My husband and I moved to Atlanta because I was offered this job. My classroom at both schools was a portable. 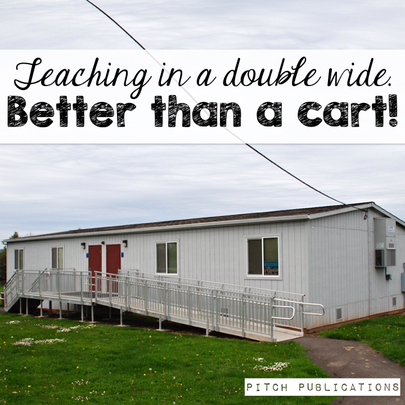 I ended up teaching in a portable for 7 years. It really wasn’t as bad as it sounds. I didn’t know any different so I thought it was quite spacious. I also had friends that were on a cart – I knew it could be worse. I quickly chose not to use chairs and found that the more equipment I could remove from the room, the more spacious it was. The portable had windows and two doors I could open to let fresh air in. I thought it was wonderful. I should also mention that at both schools we had several music teachers. 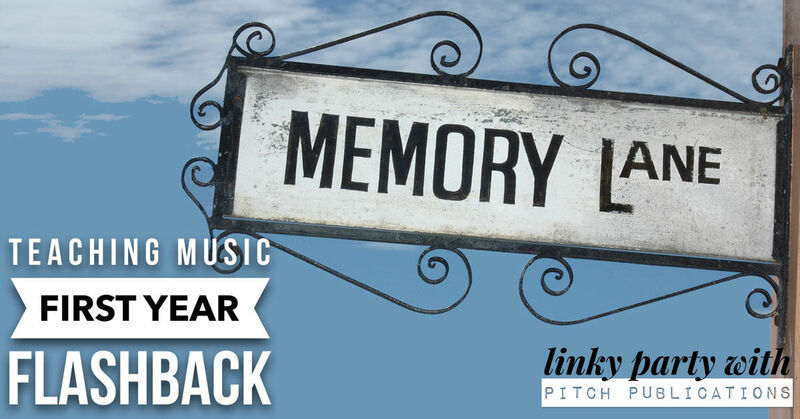 During this time elementary schools had general music, band, and orchestra. There were often 1-2 band teachers, 1-2 orchestra teachers, and 2 general music teachers. One general music teacher was full time and the other teachers traveled to multiple schools. The schools had a population of 1000-1200 students. I loved having multiple teachers and really felt like I had coworkers that I could collaborate with directly at my school. Since this time, band and orchestra were eliminated at the elementary level, and staffing has been reduced. 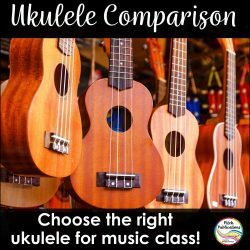 Teaching music in my area is now much more lonely than it used to be. I know most elementary music teachers are one of a kind at their building. This is the point you guys are going to hate me a little bit. I had about $500 for my school band program and $1000 for my general music program. 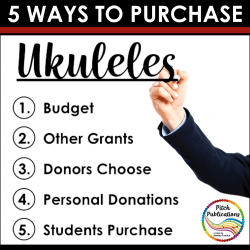 I didn’t spend very much for the general music program as the full time general music teacher had control over most of this budget. However, there was not a lot for me to buy. I stepped into an established program that already had most of the supplies I needed and plenty of instruments. I think I spent a little bit on some additional curriculum materials. For my band program, I spent my money on additional instruments, music, and general classroom supplies (pencils and such). I am not sure what the previous band teachers spent their money on but I remember thinking there was very little when I arrived to that school. Some funny notes – I used a chalkboard the first year and wrote a mini-grant at the end of the year to get a white board. 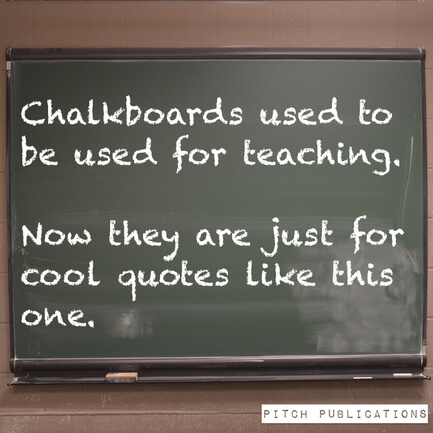 I wonder if new teachers now have ever picked up a piece of chalk! It is super messy if you are wondering!! I also had a CD player, but still used the occasional cassette tape. This was before iPods. (I’m old). Most of that year is a blur now but I recall the moment right before the first class walked in very well. I remember thinking “Here we go! I hope I remember what to say!” Then introducing myself I remember not having a lot to tell about myself that I felt made me sound old enough to be their teacher! The other moment came from my kindergarten class. They came in the first day after lunch and half of them were crying and the other half were super sleepy. At the time I had no concept of how to deal with these little people who were learning to be at school for the first time. I threw most of the lesson I had planned out the window and we just sang familiar songs. It worked well thank goodness but I was terrified! So many things! One, I loved my job. I realized that I had made the right decision and elementary was for me. I really connected with the kids and I was having so. much. fun! I couldn’t believe that I was actually being paid to go to school and sing, dance, and share my love of music with children. Second, I became close friends with my fellow co-teachers and colleagues. Going to work felt like attending a party every day. I had someone to share my day with and my co-teacher and I were matched well in our strengths and weaknesses. I loved my administration and they were so kind and sweet to me as a first year teacher. They cheered me on on good days and helped me make better decisions on bad days. I had a really good first year overall. Um, everything? No, just kidding. I actually had a great college and student teaching experience, though I focused in a different area than I ended up teaching in. A few random things I had no clue about was putting on a musical. My cooperating teacher did not do musicals and I was expected to do one with third grade – with music, costumes, a set, the works! Luckily my co-teacher had done one once before and we muddled through our first show together! Another random thing was I was expected to be the sound system expert at my school. I was supposed to know how to set up monitors (I didn’t even know what these were! ), choir mics, hand held mics, know what XLR cables and other random wires were. 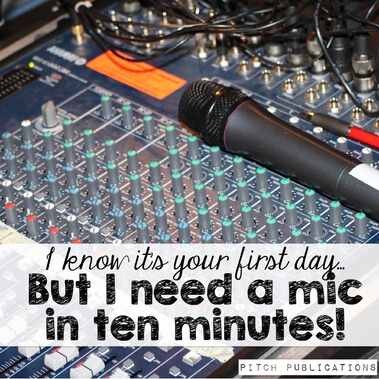 The second week of school I was asked to set up a microphone and I had to ask how you do it? I felt very silly. Also, looking at our mixer board scared the daylights out of me. Do you know how many buttons that thing has?!?! I read this book and felt much better. It has some GREAT information though read it over a couple of months – pretty dry read. I’m an old pro now and can get a stage set and ready in 30 minutes. I already talked about my weakness in vocal music, but in general, I quickly realized the other areas I had weaknesses in. I think that is important. It’s ok not to know everything and by identifying gaps, I knew where to focus my professional development. 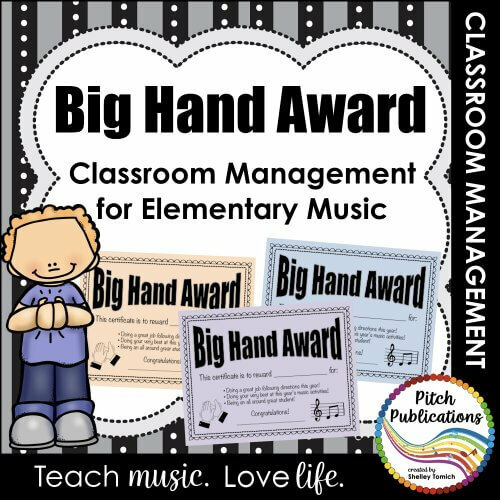 My cooperating teacher used a system similar to the Big Hand Award for classroom management. I use the same basic idea (slightly modified for the older grades). It has worked almost without fail for 13 years. Why fix what is isn’t broken? 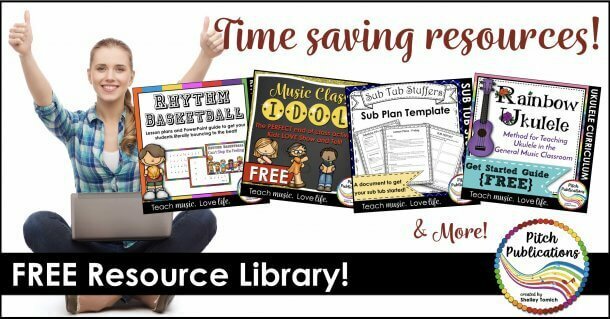 You can grab the system for free here! I also use some of the literature lessons I learned my first year and have built upon them. Incorporating children’s literature is still one of my favorite things to do. 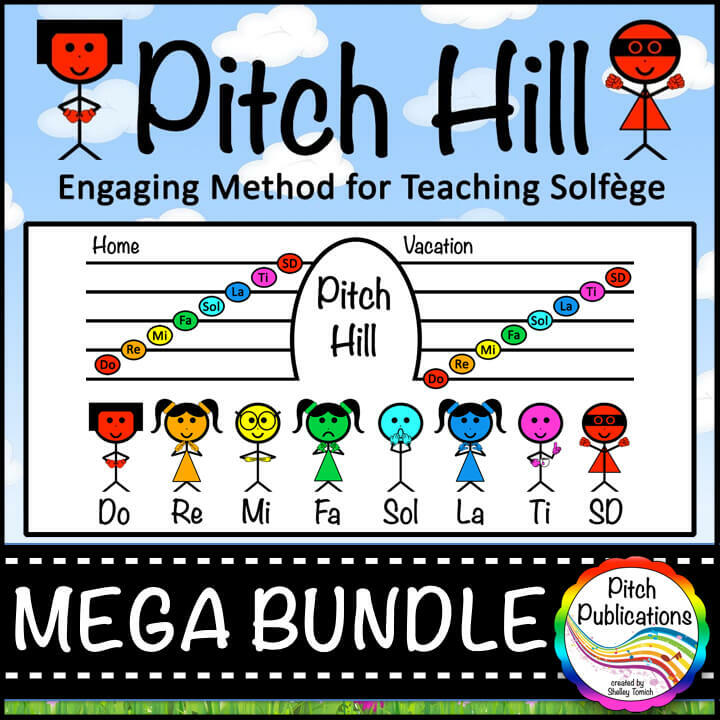 I also wrote Pitch Hill (method for teaching solfege) my first year of teaching to meet the problems I had in teaching children to read solfege. Obviously I wish I knew about all the great lessons I do now and all the pedagogical knowledge I have gained. What teacher doesn’t wish that? But personally, I wish I knew that I was going to be a pretty great teacher. I wish I knew that every time a professional door closed, a better one opened. I wish I had more confidence – the foundation for good teaching was there. It just needed some polish. 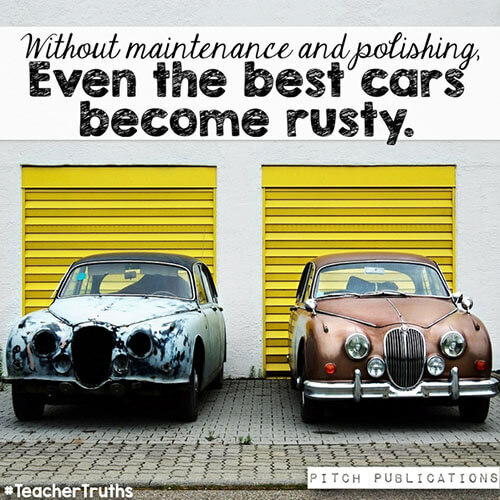 (And always will – without maintenance and polish, even the best cars become rusty). Be sure to link up about your first year below! My final advice? When in doubt, bake cookies! (Pillsbury makes an excellent pull apart cookie dough, I must say). A dozen cookies on someone’s desk can make them feel warm and gooey inside (pun intended). This strategy has been around since the beginning of time and is a tried and true method. 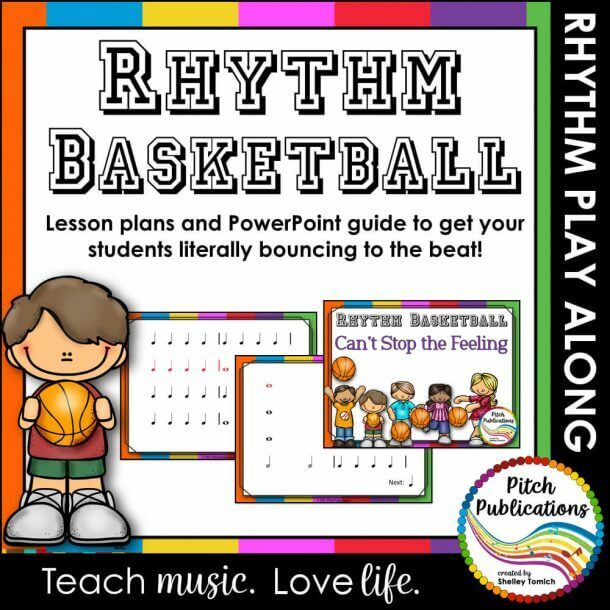 If you are new at school and looking for lessons for the first day, you might also enjoy this post on first day lesson plans! Who did I miss? Any other key people in school we should add? Great post! I can totally relate to the sound board/equipment experience. Lucky for me, my husband is a guru in this area. He’d often come to my programs to run sound, or come up early to set all the dials. Now THERE’s something I wish I had learned in college! Hahaha! Right?!? That’s how I felt! It was fun to remember all this! I giggled when you wrote about the kindergarteners! They can be such a handful! Thanks for a great post! Too funny! But true! I think at our school our music teacher was also the “sound guy.” I remember cd players and I also used the tape decks too! We moved up to mp3 players before the iPad years! I also wrote on blackboards early in my career. I can’t wait to link up! Great linky post party! Hi! Thanks for visiting! Blackboards still make me shudder. I can’t stand chalk! 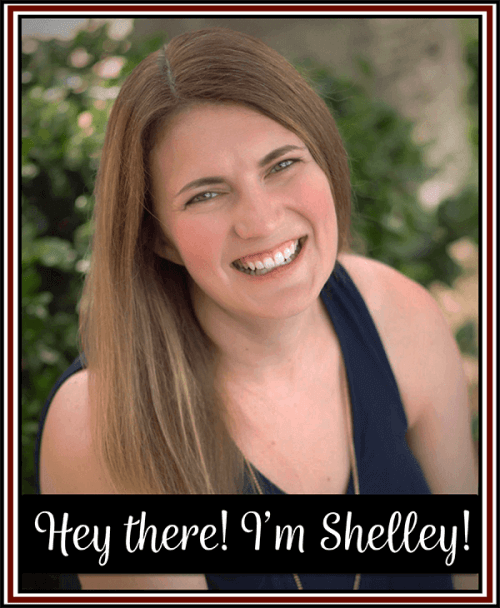 Shelley, I’ve enjoyed reading about your journey of one of the most beautiful professions, I would say it is a calling… I believe you still have so much more to share. Thank you very much! Blessings! I love that you let the kids with one link line up first. I think it creates a good balance. I love this idea, but I can definitely see how it might be tricky to implement long term. 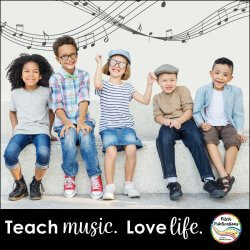 I think at our school our music teacher was also the “sound guy.” I remember cd players and I also used the tape decks too………………..
It’s hard being so many different things!